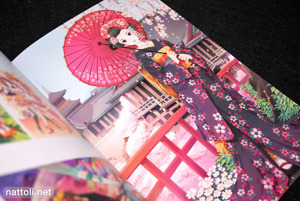 I know what you're thinking: but it's an art book, I'm here to look at the pictures! And I understand that. 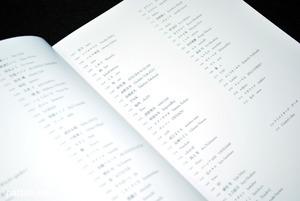 But at the same time, it really is quite like a directory, writing out the artists names in Japanese kanji and romaji, including websites, e-mails, publication references and profiles. 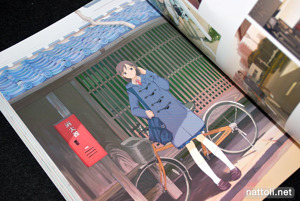 Each artist is given two pages, and for the most part, one page has a full-page illustration, and the other has the artist's information with tiled, smaller images. 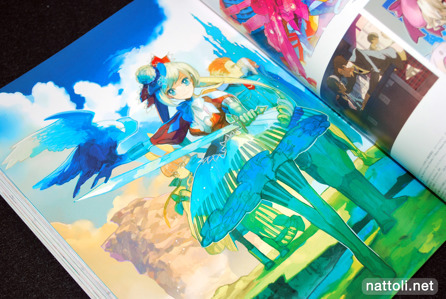 The artists who get more than two pages are toi8, Shimeko, and VOFAN, who each contributed an original two-page spread illustration to the front of the book. If you're ever in the mood to delve deeper into your repertoire of artists, 絵師100人 100 Masters is an excellent place to start. One thing this book really did was remind me of all the doujinshi I have yet to review ^^; Above the artists are Sin Aoki, Amane Soh, Taira Akitsu, Eiji Usatsuka, Inumaru, and Ukke. All the artists are listed in alphabetical order, but it's Japanese alphabetical. 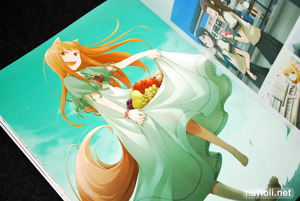 The artist for Spice and Wolf, Jyuu Ayakura actually had an illustration from the series. 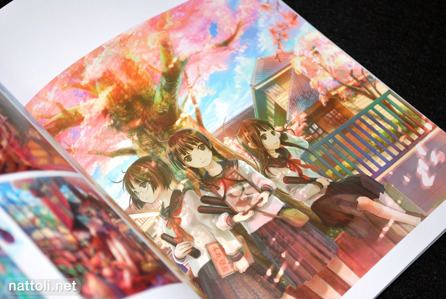 Ito Noizi's full page illustration was from The Melancholy of Haruhi Suzumiya, but it's one that was in the art book released not too long ago. 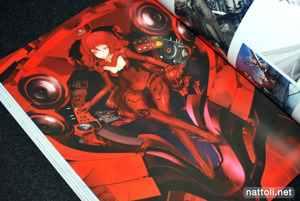 Though there are some really notable artists in this art book, there are probably more names that a lot of people would be less familiar with. 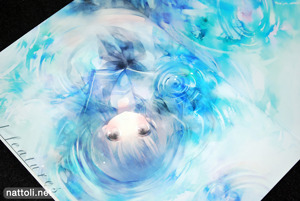 There's also a good representation of artists from Korea and Taiwan that are popular on the Japanese digital art scene. Above from left to right is art work from Okill, Kaoru., cajiwara, kazuaki, Yu Kamiya, kb (kilobyte), kurojishi, kuroyuki, and Kurowashi. Akatsuki Katoh, and Oyari Ashito are both in this section as well, though not pictured. You've probably seen the illustrations used anyway. I'm also writing out the names as they're written in the book, even if there is some other translation out there, I'm going to go with how the artist has chosen to write it. 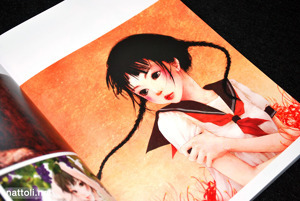 Perennial favorite KEI is featured, but no new art work from him. Above, top row middle is Yuuki Kodama, whose page credits are missing so I wonder where the girl is from... 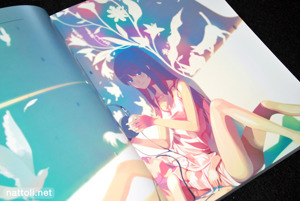 The large image in the center is by Zain, a Japanese artist with a gorgeous color palette. You Shiina's message is: "People let me work and I can enjoy meals after all. Thank goodness." 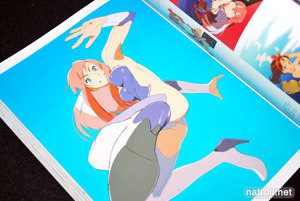 The last picture above is by Yoshinori Shizuma, usually called "Mars" on image boards. 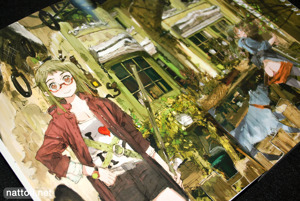 His work has been popping up everywhere lately, though all the art works in his section are from Pixiv. Sino's art work above. His work always reminds me of Kantoku... I think it's the coloring. The smaller images on his second page are gorgeous, though I do believe they were all the display ones in his article for Megami Magazine Creators. Did I mentioned this book is 216 pages? I did, but I thought it needed to be reiterated. 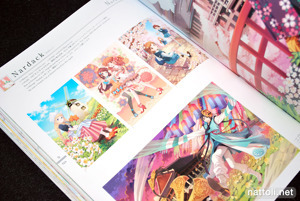 Even though I've posted so many photos of the inside, it's still less than half of it ^^; Though my initial impression was that it was very much like the Pixiv Girls Collection, the artists in this book each get a full two pages to do with as they will. And it really does feel like everyone picked their best illustrations to put in even if they aren't new. Best quote so far is JohnHathway: "I suffer when I am drawing." 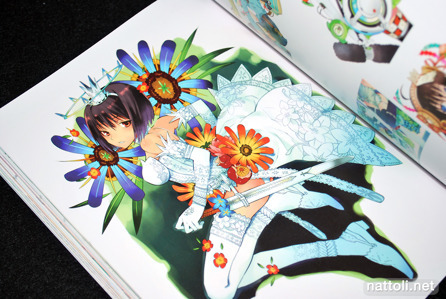 It was interesting to see famous artists like Aoi Nishimata, Kurehito Misaki, and Chisato Naruse along side artists whose first publication was this book. Everyone has to start somewhere though, right? I do think most were able to hold their own really, with such a variety of different styles present. Pleased to see more gorgeous art work from Nardack. 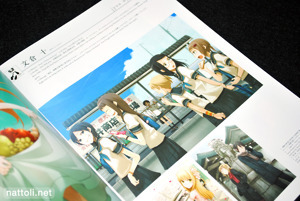 All the art works featured are from Pixiv though! Nino wasn't an artist I was previously familiar with, but the art work is so Okama-esque I'm bound to follow it. 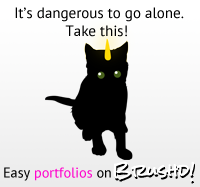 The illustrations featured were almost all from the artist's home page. Above from left to right: VANIA600, BF, Yuki Hiiro, Hukahire, Putidevil, bob, and fuzichoco. 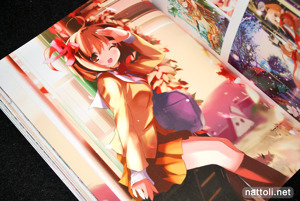 I would love to see more published art work from fuzichoco, and VANIA600. They both really know how to complete a scene with their elaborate backgrounds. 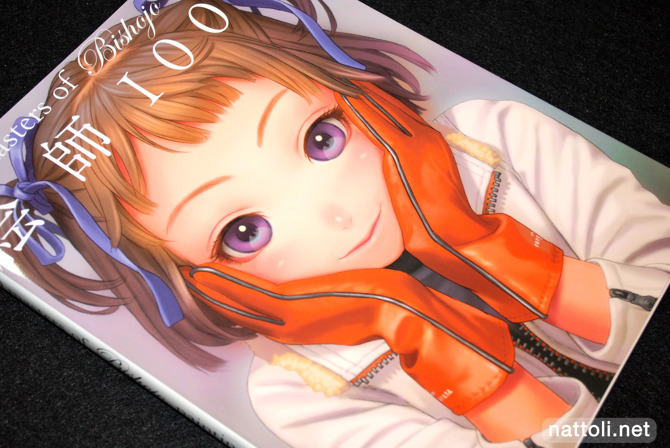 For the most part, even if you've seen the art work, the works published in 絵師100人 100 Masters of Bishojo Painting are still top notch. I think overall I was less impressed with the illustrations by the more commercial artists than the up-and-coming ones. Of course, that could just be a result of being too familiar with the work of the known artists! I'm going to come back to this post to link up all the artist's names with their websites, so this can be useful as something more than a review too. UPDATE: 100 Masters of Bishojo Painting is now for available for pre-order on Amazon.com in the US! Release date March 1, 2010! Thank you for the in depth review! Good to know that it's not all japanese artists. Still looks good though. Much appreciated! Thank you, very interesting read. Looks indeed a lot better than expected. 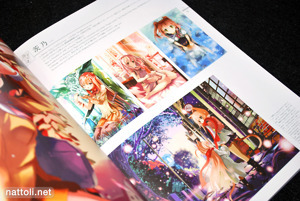 I think Akibablog just picked the worst pages to showcase it ^^;. Too bad I will have to wait more than 2 weeks to get it. "Above, top row middle is Yuuki Kodama, whose page credits are missing so I wonder where the girl is from..." could the girl be Black Rock Shooter? You know; the hair+the blue light and the "B" on her tie? Wow I've never seen a quality collection like this, thanks for the heads up! Never heard of VANIA600, I'll be sure to check him/her out. Thanks for the review! I recently bought it + "Atelier Series Official Chronicle" from Kinokuniya after reading from your review. Keep it up. Wow very interesting! I think I should get one for my self. Do you have any idea where I can order this book from? 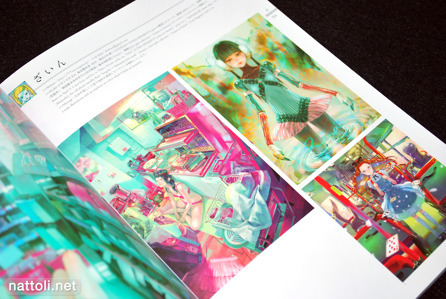 Just google "100 Masters of Bishojo Painting." Lots of stores have it in stock right now, so you can see who has the best deal on it. 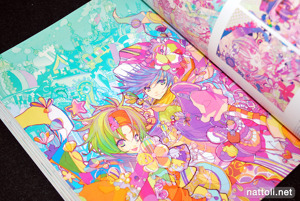 I've found a couple of pictures of this artbook on the web, and I wanted to know the names of the artists. Could you help me in this one? Thanks to you, now I know A is RYO-CHIMO, but whose artists are pictures B and C? Also, if you have their websites, I'd be so thankful. Houden Eizo is C; and I don't know who did the character portraits for the BlazBlue Materials Collection which is where B is from.